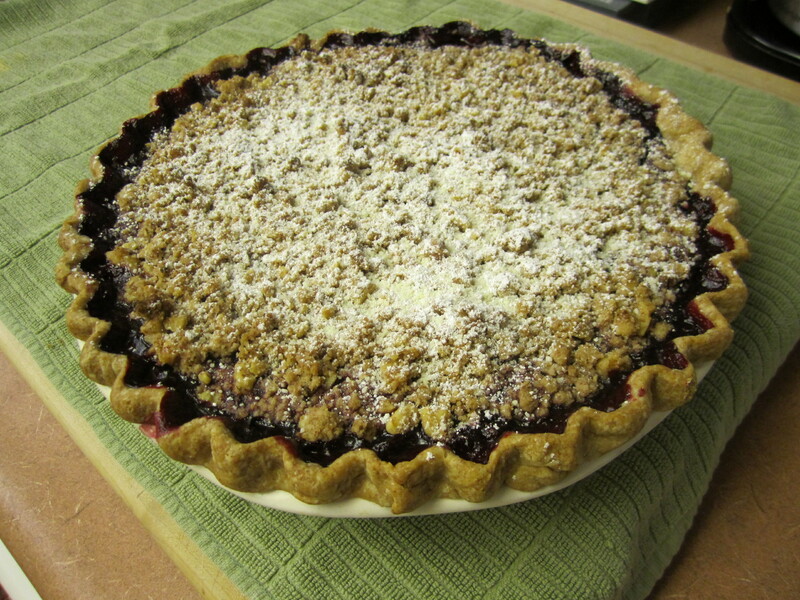 Today I chose to make a Marionberry Crumb Crust pie for a friend who has been going through a difficult time. It is my hope that this small gift will brighten his day and give him a moment of respite. I feel that it is the least that I can do. Maybe this sounds a bit silly… thinking that food – especially pie – could make a difference. But it’s not really about the pie. It’s about thinking about someone and wanting to show them that they are important; that they are loved. Baking (and cooking) is how I do this. My neighbor is a wonderful gardener and shares her garden’s bounty with those in her circle. I am in awe of her gift and am grateful that she shares it with me. What is your gift? Have you found a way to share it with the world? Lovely post 🙂 I wish that I could enjoy one of your pies right now. I know it would cheer me up in this difficult time. Thank you for sharing your love and your gift with the people around you – I am in awe of your selfless, loving heart. I am with you in spirit… and will send you a recipe so that you can make a pie too. And I will figure out a way to send pies long distances… but not today.